Our beef is hung and matures naturally for up to 21 days before being passed onto our master butchers who take great pride in carefully preparing the range of cuts that we provide. The topside is a very popular and traditional roasting joint. A joint with real old-fashioned flavour. Cut from the hind-quarter and tied by our butchers to make for easy carving and great presentation. 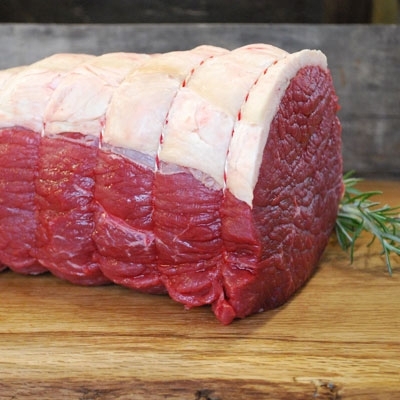 A classic, mild-tasting cut of beef for the perfect Sunday roast for family and friends.